SMALL Melbourne midfielder Ben Kennedy’s AFL career is seemingly over after being delisted on Monday. The former Magpie played 15 matches last year in his first season at Melbourne, but failed to play a senior game in 2017 after falling out of favour under new coach Simon Goodwin. Kennedy took to Instagram to announce the news, accompanied by a screenshot of a farewell message from teammate Billy Stretch. "I'd like to think I played the game the way it should be played and my teammates and family respected my work ethic and competitiveness," Kennedy said. "At least now I can get my nose pierced again." Kennedy – who is just 175cm tall – also joked that he "did alright" for his size, saying he "can’t kick or run". 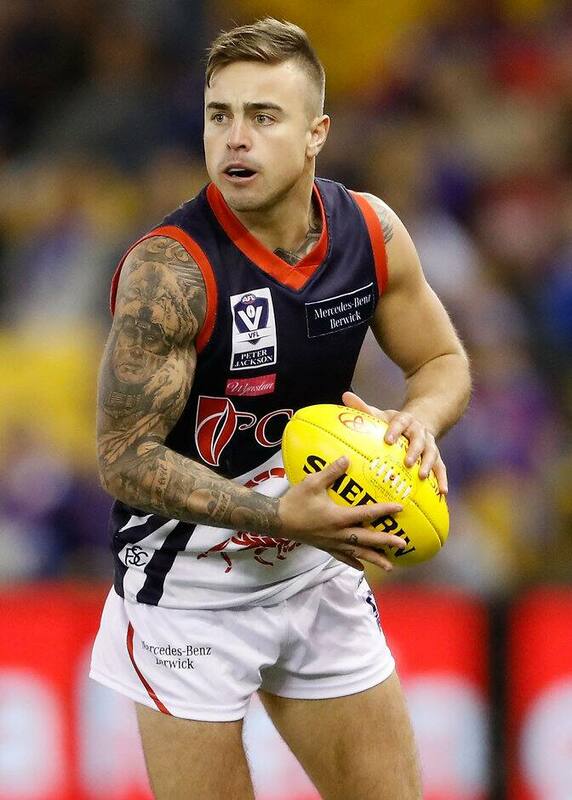 Kennedy has played 40 senior games for the Magpies and Demons after being taken by Collingwood with pick 19 in the 2012 NAB AFL Draft.